It looks like the Government Canada isn’t quite ready to call it quits on the Trans Mountain Pipeline Project. The cause of immense dispute between British Columbia and Alberta throughout the first half of 2018 — it’s been just over a year to the day since Premier Rachel Notley instituted a province-wide boycott of BC wine — the project was indefinitely halted in August 2018 by the Federal Court of Appeal. On August 30, 2018, a decision was released by Justice Eleanor Dawson stating that the court found the National Energy Board’s assessment flawed on two principles. “First, the Board’s process and findings were so flawed that the Governor in Council could not reasonably rely on the Board’s report; second, Canada failed to fulfill the duty to consult owed to Indigenous peoples,” stated Dawson in the court documents. The following months saw increased animosity between Canada’s westernmost provinces, with petitions, legal challenges, and targeted ads throwing shade across the provincial border in either direction throughout the following months. The Government of Canada agreed to purchase the project from Kinder Morgan for $4.5 billion at the end of last May, leaving it on the hook to either cover the remaining cost of the project or sell to a third party. There are recent reports that the federal government potentially overpaid by a billion dollars. It has been just over five months since the project was indefinitely halted, and though the Federal Government has announced actions they’ve taking to restart construction, the Federal Court of Appeal decision remains in effect. 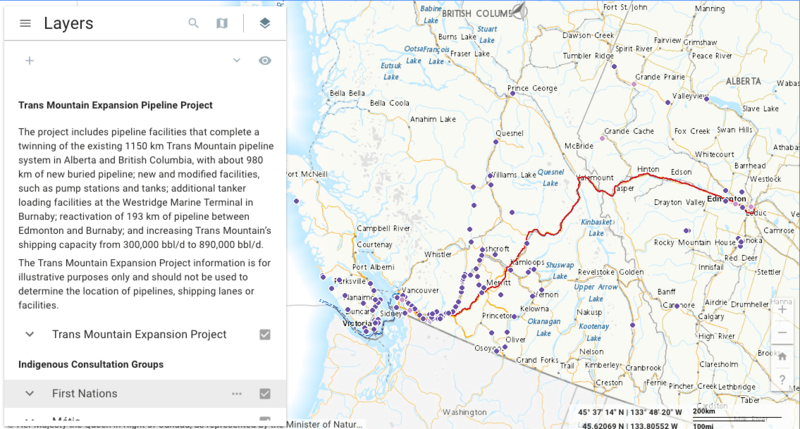 On February 7, the Government of Canada launched a Trans Mountain Expansion Project page on their website, detailing what is happening with the project and up to date information on what has been done so far. 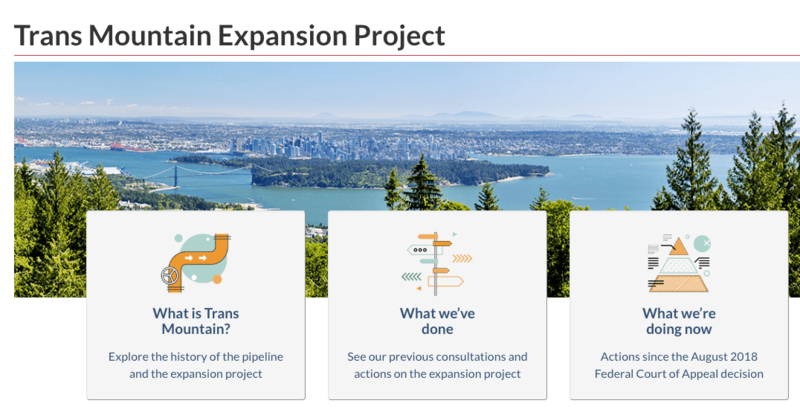 The main points highlighted on the site are what Trans Mountain is, what previous consultations and actions the government has done, and what they’re currently doing to move forward with the project. The page also includes the latest government releases about the project, including the National Energy Board’s draft conditions and recommendations for a reconsideration of the project. The NEB’s final report is expected to be submitted before February 22, according to the release.